Brakes|Brandon, FL :: Scott's Automotive Inc.
Keeping car brakes in good condition is a way to keeping yourself away from road accidents. 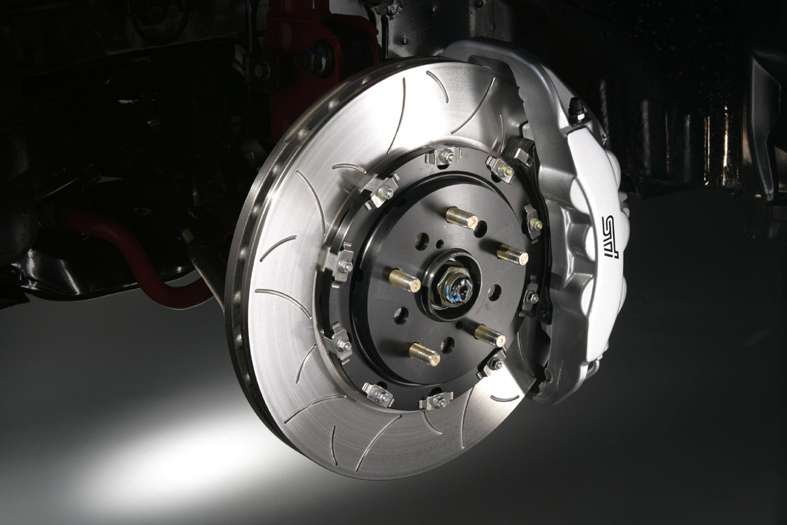 Regular brake inspection should be done before you face major brake repair issues. Still, it is recommended by professionals that you do not wait for these signs to occur before you check up on your braking system. Do a visual inspection every now and then. Visual brake inspection consists of checking brake pads, rotors, brake lines, and callipers. While this may sound intimidating to a new car owner, inspecting brakes is as easy as one, two, three. Begin the brake inspection by lifting your vehicle off of the ground. Expose the brake hardware by removing the lug nuts and pulling your wheel off its axle. Afterwards, clean your brakes with any brake cleaner you have. This is important so that you have a clear picture of the state of your brakes. Check if there are rust formations on the callipers. You can remove small amounts of rust on the surface by using a wire brush or by taking a short drive and applying your brakes. However, if there are huge amounts of rust in there, you need to replace your rotor. Next step when inspecting brakes is to check whether the brake pads are already worn out. You need to replace these pads if they are less than 1mm in thickness. Uneven wearing also happens to brake pads so be observant. Remove the pads and check them for uneven wear. You can do this by first removing the calliper attached from the brake rotor. Uneven wear causes problems with the brakes which can lead to brake repair and you surely do not want that. After that, the next thing to do when inspecting brakes is to check the rotors. There are three things that you should watch out for this part of the brake hardware: excess grooves, warping, and discoloration. Appearance of any of these three require a rotor replacement as soon as possible. Problematic rotors also lead to bigger brake problems that can make your head ache in the future. Last thing to do for a visual brake inspection is to check the brake hose, also known as the brake flex hose. Signs that may lead to a break repair include aging, wearing, and cracking in the hose’s rubber lining. The flexibility of the brake flex hose is crucial. If there are stains of brake fluid on this hose, then there is a leak and you may want to go to an auto mechanic. You may also want to check for corrosion and rust on your brake lines as these greatly affect the performance of your brakes.